January 24, 2018 at 12:10a.m. 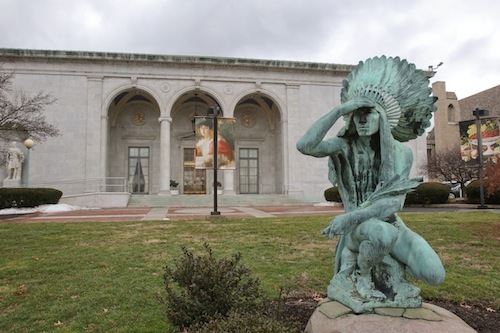 The Butler Institute of American Art is a fine museum, the crown jewel of Youngstown’s cultural assets. But is it America’s best art museum? While its 20,000-piece collection includes many masterpieces, the Butler pales in comparison to its bigger brethren, such as the Metropolitan Museum of Art in New York, which has more than 2 million pieces and had more than 7 million visitors in 2016. There are, in fact, dozens of art museums in the United States that outperform the Butler in terms of size and quality of collection and number of visitors. But, according to a list on Ranker.com, the Butler is tops in the country – at least as of Tuesday morning. The Metropolitan, by the way, was No. 2. Ranker’s polls are completely unscientific; they are voted on by the public, so anyone with internet access can vote. Stuffing the ballot box happens. The Butler was – more realistically – ranked No. 37 as of Friday. By Monday, it had surged to the top spot, which suggests a sudden voting campaign over the weekend as folks became aware of the list. Louis Zona, executive director of the Butler, is aware of the Ranker list and how the website works. He’s taking his museum’s sudden rise to the top with a grain of salt. But he also has a little bit of pride in knowing that the public thought enough of his museum to vote. He hadn’t considered that its ranking could easily rise. Ranker lists are fluid and always open to voting. The lists – and there about 100,000 of them on the website – can and do change. They are designed to reflect “the wisdom of the crowd,” according to Ranker. The Butler staff did not campaign for votes – and didn’t even consider it. But it did share the link with friends of the museum. After a list is started, visitors can vote and re-rank all the items, and add items they think deserve a spot on the list. “After somewhere around 100 visitors have voted, re-ranked and added items to their hearts’ content, the list becomes the definitive, ultimate ranking on that topic,” according to the site. Wendy Swick, public relations coordinator for the Butler, said she had never heard of Ranker before Friday. Swick said the Butler, like every art museum, is not the type of place that would attempt to oversell what it is. “We do consistently get compliments from out-of-town visitors saying how unexpectedly impressive the collection is for a small museum in a town like Youngstown, compared to the major museums they’ve visited,” Swick said. September 17, 2017 12:02 a.m.